Following our October newsletter discussion on the 'Leadership Challenges in Emerging Markets' I would like to take the opportunity to delve further into the development of culturally intelligent leaders. Global leaders who work across borders have a broad range of skill-sets that influence their effectiveness. One of the findings from my doctoral thesis �The link between Cultural Intelligence and Effective Global Leadership� was that some leaders have high cultural intelligence and are very effective at working across borders, while others are not. One aspect of my study assessed whether the four components of cultural intelligence (CQ) are equally important for effective global leadership. CQ Knowledge - The ability to understand different norms and practices in different cultural settings. CQ Drive - The desire, drive and self-efficacy that comes from seeking out opportunities and engaging in different cultural settings. CQ Action - The ability to adopt and exhibit behaviour that is appropriate to different cultural settings. CQ Strategy - The ability to think strategically in different cultural settings. Strategy includes awareness of cultural differences and the ability to continuously check and readjust assumptions. I created a simple 2x2 matrix that could be employed for talent assessment and development. On one axis is CQ and on the other is effectiveness. Quadrant 1 = Leaders who are high on CQ but low on effectiveness. Quadrant 2 = Leaders who are high on both dimensions. Quadrant 3 = Leaders who are low on CQ but high on �technical� effectiveness. Quadrant 4 = Leaders who are low on both dimensions. Traditionally I would argue that most organisations have promoted their global leaders based solely on their technical and organisational skills, those who sit in Q3. They may appear effective in the short-term but their lack of CQ will have a detrimental impact on their long-term performance. These leaders require additional support such as coaching and mentoring to improve their CQ. Leaders who sit in Q1 are a valuable resource for organisations moving into new emerging markets. Their high CQ skills can be dedicated to achieving trust and establishing positive relationships in cross-cultural settings. Leaders who sit in Q1 can be supported by their organisations by the provision of business skills training and MBA education. Ideally, we need leaders who sit in Q2 who are both effective and have high CQ. As organisations spread their �global footprint� these individuals will help sustain future business growth. For leaders sitting in Q4, they may require a reassessment of their role, perhaps their skills are better suited elsewhere in the organization. They may require support in awareness raising and self-insight. I would welcome your responses and any further discussions on the link between cultural intelligence and effective global leadership. Kishore Mahbubani was a Singaporean Diplomat for 33 years and is currently Professor in the Practice of Public Policy of the Lee Kuan Yew School of Public Policy at the National University of Singapore. In his latest book Mahbubani claims that East and West are at a turning point history. The world is witnessing unprecedented numbers of the population being driven by the Asian economic growth from poverty to middle class. The expansion of the middle class is an unprecedented convergence of interests, perceptions, cultures and values. As aspirations of both the East and West are converging, there is an overriding set of common interests that motivate many of these countries to work together. Mahbubani urges leaders to acknowledge the converging global interests and values. His reflections are timely, provocative and well informed. 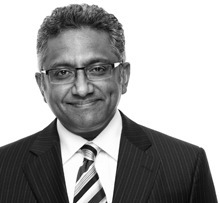 He also has some great insights into the prospects for progress on key global issues. 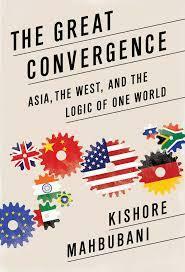 � The Great Convergence: Asia, the West, and the Logic of One World." By Kishore Mahbubani .� By Kai Hammerich & Richard D. Lewis (2013).